traveler standing on high rocks. 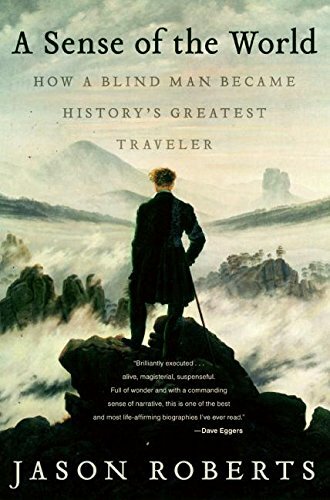 He was known simply as the Blind Traveler -- a solitary, sightless adventurer who, astonishingly, fought the slave trade in Africa, survived a frozen captivity in Siberia, hunted rogue elephants in Ceylon, and helped chart the Australian outback. James Holman (1786-1857) became "one of the greatest wonders of the world he so sagaciously explored," triumphing not only over blindness but crippling pain, poverty, and the interference of well-meaning authorities (his greatest feat, a circumnavigation of the globe, had to be launched in secret). Once a celebrity, a bestselling author, and an inspiration to Charles Darwin and Sir Richard Francis Burton, the charismatic, witty Holman outlived his fame, dying in an obscurity that has endured -- until now. 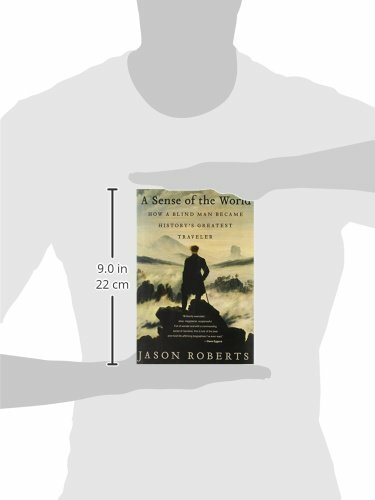 A Sense of the World is a spellbinding and moving rediscovery of one of history's most epic lives. 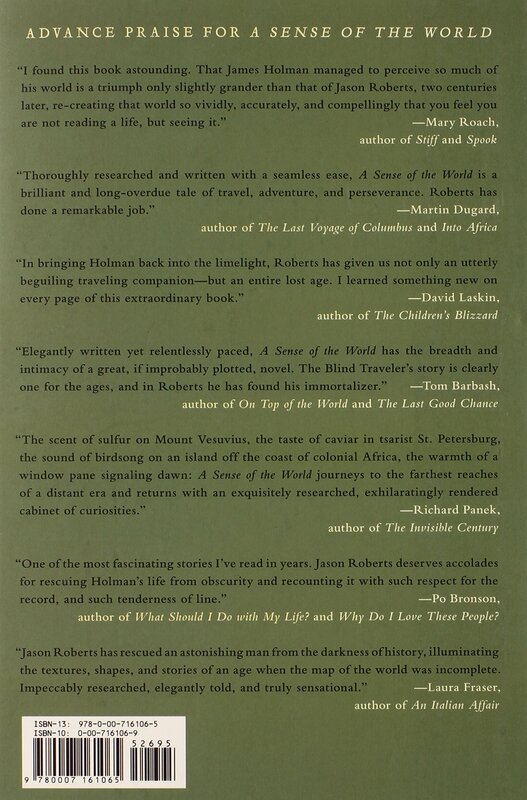 Drawing on meticulous research, Jason Roberts ushers us into the Blind Traveler's uniquely vivid sensory realm, then sweeps us away on an extraordinary journey across the known world during the Age of Exploration. Rich with suspense, humor, international intrigue, and unforgettable characters, this is a story to awaken our own senses of awe and wonder.